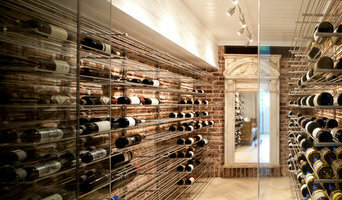 San Diego Wine Cellar Design & Manufacturer Best of Houzz 2012-2019! We prefer to work with your contractor or builder! Viking Wine Cellars' experts have been designing and building distinctive, contemporary and traditional wine rooms for more than 25 years. 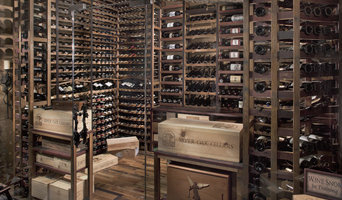 With hundreds of installations in all types of settings--private homes, restaurants, resorts, hotels and other businesses, we have the expertise to design and install a truly custom wine room that will optimize your space and fit your specific wine storage needs. We offer a diverse line of traditional storage solutions for traditional style homes, restaurants and other establishments. Some of our more recent projects appear here. We work closely with designers, architects and contractors to make your wine room creation a satisfying experience both financially and aesthetically. Paul Knox Woodworking - Specializing in Custom Cabinetry and Wine Storage Solutions. Your personal curator for the finer things in life. From wine storage to glasses, entertaining with gourmet cheese and tabletop décor to storing your heirlooms and watches, our product assortment fills your every need. Epicureanist values our customers and wants to earn your loyalty. Our mission is to provide quality and value with our products. Italian Custom Imports, also known as ICI was developed with the vision to bring customers the artisan tradition and expertise of the best luxury custom interior furnishings in Italy, to homes across the country. Our vision enables the customer to realize their dreams of designing the ultimate, one of a kind interior's. Made with the superior quality and workmanship that Italy is renowned for . 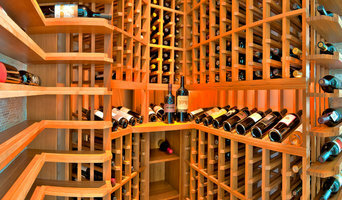 Arctic Metalworks Inc is Southern California's Wine Cellar Refrigeration Systems Specialists! We are fully licensed California State Contractors, owned and operated by David Gype, a second-generation climate control expert. We are a reliable and experienced HVAC and wine cellar refrigeration contracting company, managing all heating and cooling systems for both residential and commercial properties. Your De Luz, CA wine cellar professional also will oversee the preparation of the target space (moisture barriers, ventilation and so forth) as well as the construction process. Wine cellar builders select and install the necessary equipment and surfaces, from racks and cabinetry to flooring and lighting, and often handle special security systems to protect a homeowner’s collection.